Pour & Pair: My Spanish-American Recipe for Sherry Week Blog! 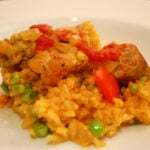 Home / Expat Confessions / Pour & Pair: Iberian Seafood Stew Recipe for Sherry Week Blog! My Iberian-American contribution to #sherryweek! I was born and raised in a small town in Massachusetts, and some my best food memories growing up revolve around our state’s incredible seafood. Fried scallops at a Cape Cod beach shack, steamed lobster dipped in butter, going clamming with my Dad’s friends (and trying my first raw clam! ), and bowl after bowl of creamy clam chowder. 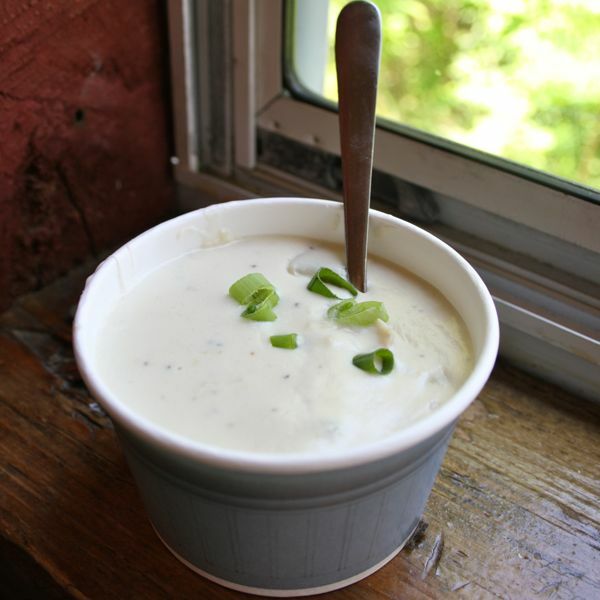 Clam chowder is one of those dishes that screams comfort– it’s something that has centuries of tradition and truly tastes like my home. When possible, a bowl of clam chowder is the first thing I eat once landing in Massachusetts and the last thing I enjoy before I depart. But although I consider Massachusetts home in many ways, Spain has also become my home over the past eight years. In many ways, I grew up here in Spain– I spent most of my twenties in this very different country and culture. But there was always one comforting link I had to home: fresh seafood. 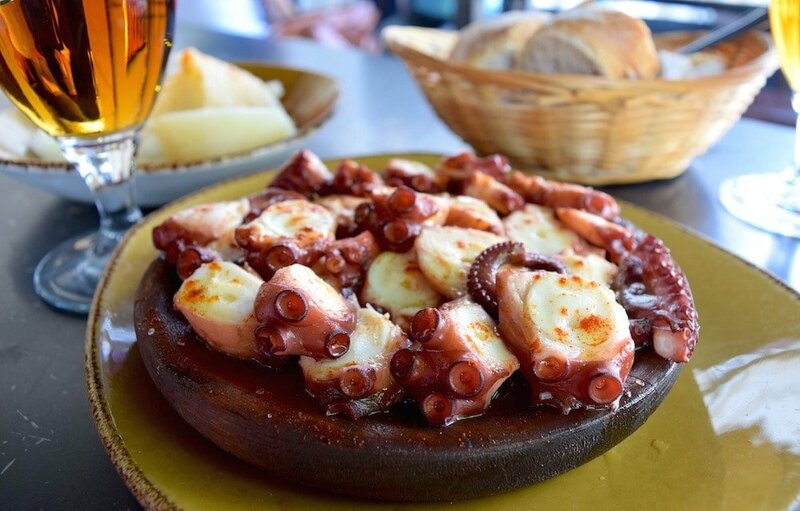 Whether from the Atlantic or Mediterranean, Spanish seafood is undoubtedly among the world’s best. When I was chosen to participate in the Pour and Pair contest hosted by International Sherry Week, I knew I had to find a way to express my two homes in just one dish. And it had to pair with sherry, of course! But not just any sherry… I had no idea which sherry I’d receive! But before the big reveal, a bit about my own history with this incredible wine. It’s a place, a wine, a history, and an experience. 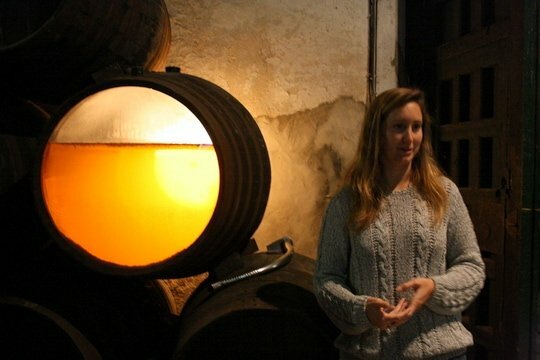 Incredible sherry is so much more than a drink. Ok– but what is it in wine terms? The important things to keep in mind is that sherries are extremely versatile (again– there are bone dry sherries and syrupy sweet sherries), they are a great value (currently, a bottle of manzanilla with an average age of three years can be found for under five euros! ), and they can pair with even the trickiest of foods (try an amontillado with asparagus if you don’t believe me). So forget what you think you know about your grandma’s sherry and give this wine a proper chance! When I met Alejandro I didn’t realize I was about to fall in love… with sherry! He’s from El Puerto de Santa María, and his grandfather worked in the sherry bodegas putting the cork in the sherry bottles. Ale’s father drinks manzanilla, and it was through him that I had my first taste of sherry wine. I’ll be honest, it wasn’t love at first sip. Manzanilla is the driest of sherries and is yeasty, chalky, and slightly saline (delicious qualities, but very different than anything I’d ever tasted). 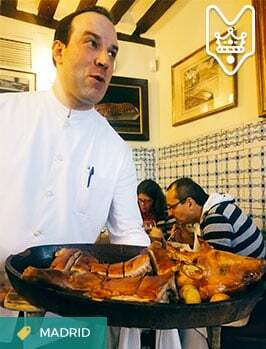 I believe that first-timers should taste sherry accompanied by food– and for manzanilla, ideally Sanlucar’s finest: tortillitas de camarones (fried shrimp fritters), gambas (boiled prawns), pescaíto frito (fried fish), and local olives of course. It took me a few times to develop a taste for manzanilla, but now I can’t imagine a trip to Cadiz without it! 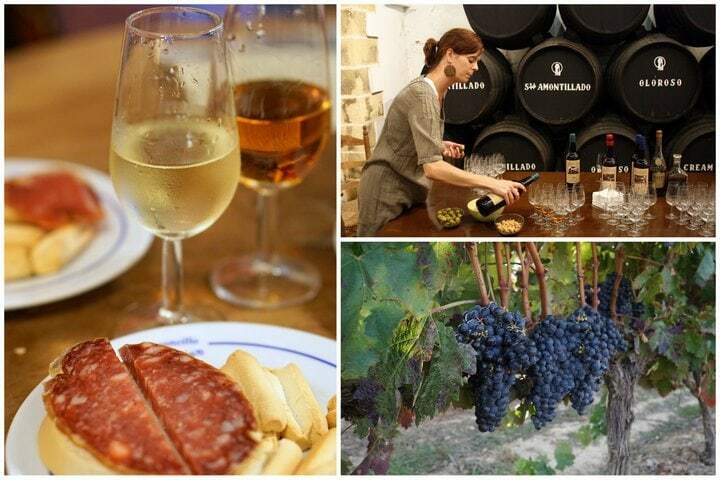 The perfect pairing in Sanlucar! Years later, sherry is a part of my weekly routine. I cook with it and enjoy a glass (or two) a few nights a week. It’s a wine that never fails me, and is always a true experience that’s full of flavors. It’s also one of the best and most interesting wines to experiment with to create pairings. So was thrilled when I was chosen as one of only 20 contestants for International Sherry Week’s Pour & Pair contest! What an honor! What I got was the best of both worlds! I was given a manzanilla pasada (Xixarito Manzanilla Pasada en Rama from Bodegas Baron). 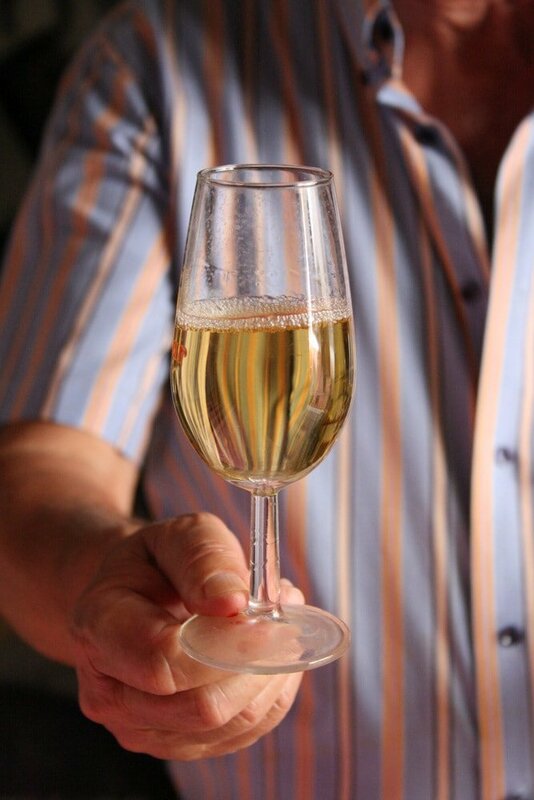 A manzanilla pasada is a unique older manzanilla — one where the “flor” (the protective layer of yeast that forms on certain styles of sherry) starts to fade away, giving way to a bit of oxidation. Generally, these manzanillas have an average age of six or seven years, as opposed to about three to five for “normal” manzanilla. They’re more complex and structured wines, though still have all of the incredible characteristics of a wine that’s been aged biologically (under flor). A take on the taste of my childhood, mixed with the flavors of my twenties, this dish is made in the classic New England clam chowder method, but highlights “tastes of Spain” instead of New England pork and seafood. My version highlights Iberian pork in lieu of bacon, a healthy splash of amontillado sherry, and Spanish seafood (I used berberechos (cockles), prawns and mussels). It was absolutely delicious, but unfortunately, the photo will never do it justice! 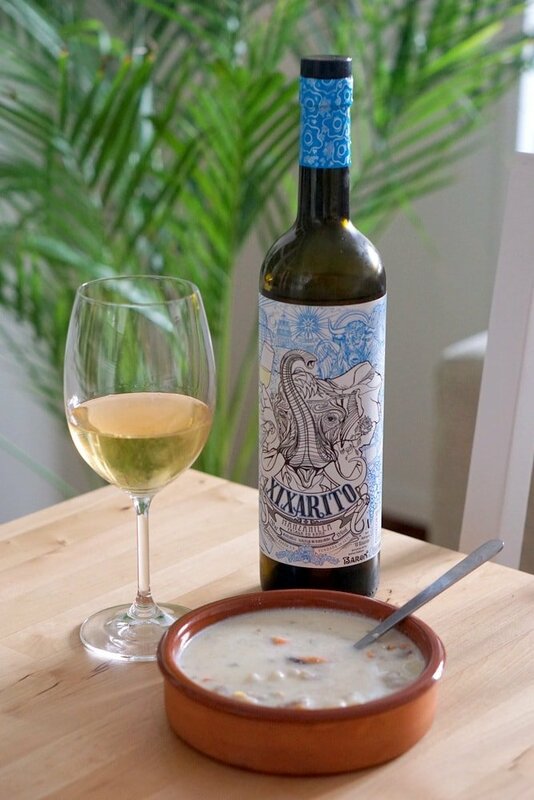 Delicious and the perfect pairing- Iberian seafood chowder and manzanilla pasada! This dish pairs perfectly with Bodega Baron’s Manzanilla Pasada en Rama. 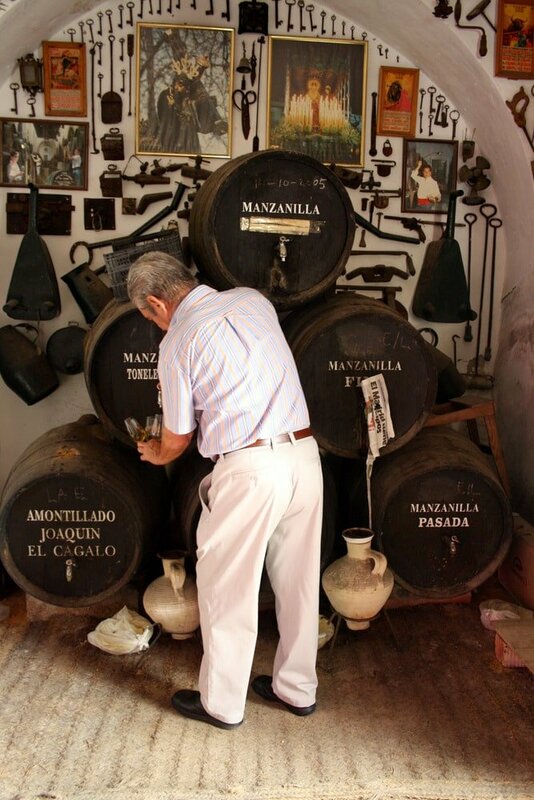 The manzanilla is truly special– not that I’d expect anything less from Bodegas Baron! This family-run bodega is nearly 400 years old (400 years!) yet the current generation is glamming things up with their innovative bottle designs. This manzanilla is not only “pasada” but also “en rama” — meaning it’s bottled raw and unfiltered, the best way! The almond and olive notes pair perfectly with the delicate flavors in the chowder– the onion, cockles, and celery. And the acidity helps cut through the creaminess of the chowder (note, my version is made with whole milk and no heavy cream, as this would have overwhelmed the pairing in my opinion). 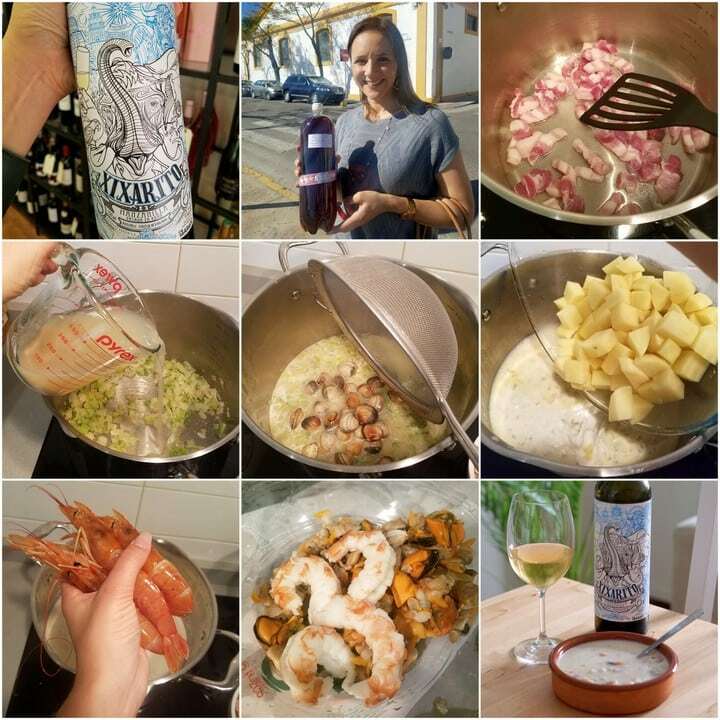 Try my Iberian Seafood Chowder recipe paired with Manzanilla Pasada en Rama -- a Sherry wine and the perfect pairing! My Sherry Week Blog process- more on my Instagram! What do you think? Does my pairing do justice to the delicious Manzanilla Pasada from Bodegas Baron? I sure hope so! 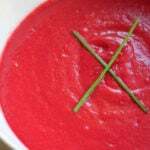 If you enjoyed my story (and recipe!) 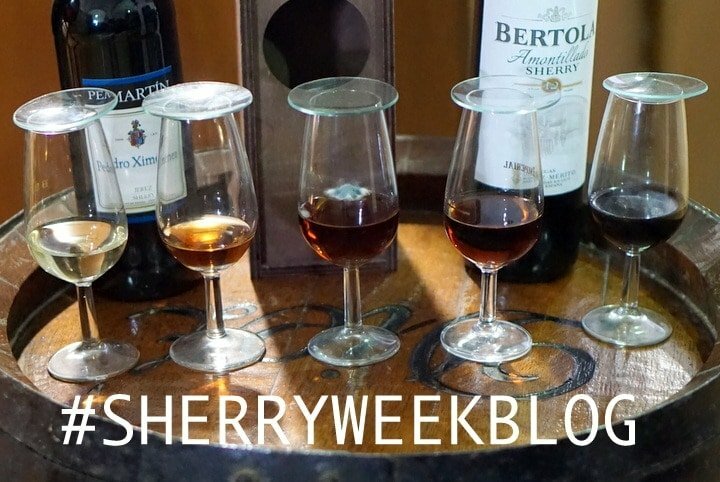 please spread the word— share my post and share the love for Sherry Wines! Check out the amazing resources at Sherry.Wine (all free!) to learn all about these unique Spanish wines and go out to your closest wine shop and start trying them! I like a bit of sherry with orange juice–much more body than a screwdriver. Try it! 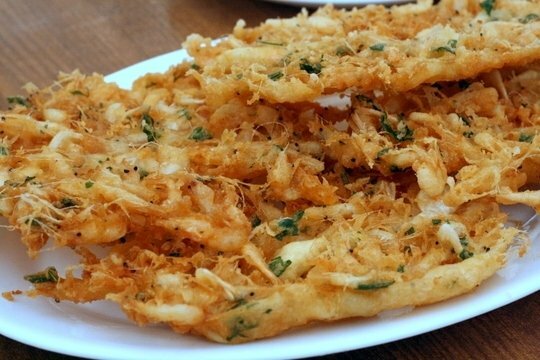 You can try making something similar with fish and shrimp– try cod or haddock! Which type of sherry did you mix with OJ? Sounds interesting! 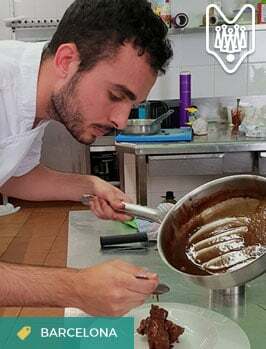 Coming from Connecticut and just having visited Mardid and Vigo – took your Prado and Botin tour – GREAT – your version of chowder sounds and looks wonderful. Going to try it very soon! 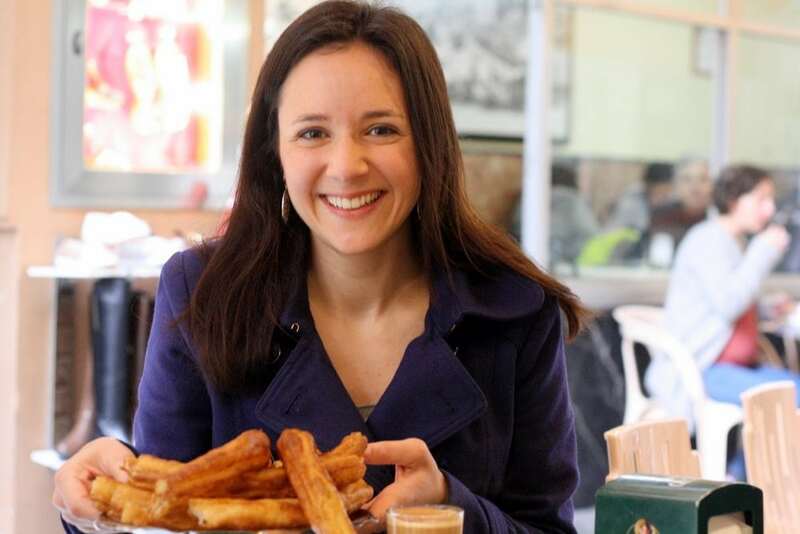 I would like to personally congratulate you as your blog Spanish Sabores has been selected by our panelist as one of the Top 20 Spain Travel Blogs on the web. Love this pairing of sherry and chowder! What a wonderful way to honor your two homes. 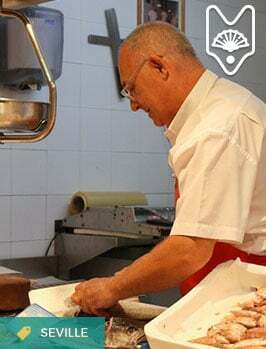 We also spent many years living in Massachusetts and our love of seafood is one of the things that helps us feel at home here in Spain. Our biggest problem with making creamy soups here is the lack of fresh cream in Spain (at least in Valencia) so we’ve had to find other ways to thicken soups. 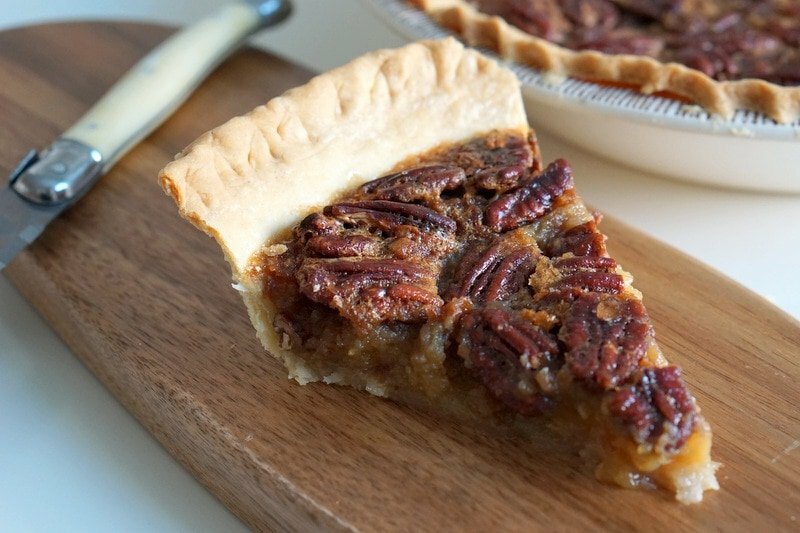 Your cream-free recipe is perfect!